Although many drugs are now available, a large effort is still needed to prevent diabetes. The STOP DIABETES study evaluated individuals at risk for type 2 diabetes (T2D) by a 2-h 75-g oral glucose tolerance test (OGTT). Based on the three main defective physiological responses, subjects were stratified as at low, intermediate, or high risk, and treated accordingly with lifestyle modifications and drugs. Participants at intermediate and high risk experienced the greatest reduction of T2D conversion. Interestingly, a group of individuals developing T2D presented a normal glucose tolerance at baseline, but a 1-h plasma glucose concentration > 155 mg/dL. These results are critical as prediabetes can increase the incidence of cardiovascular disease. 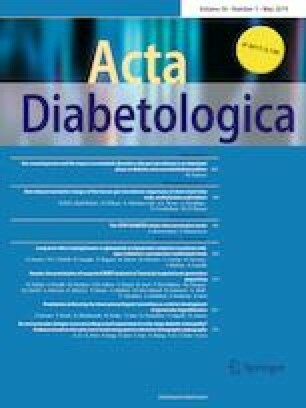 Considering the timeframe between the first defects in glucose metabolism and the manifestation of diabetes complications, the effort to tackle the glycemic impairment as soon as possible represents an outstanding task to reduce the incidence of diabetes. Ideally, the earlier glycemic alterations are recognized, the lesser armamentarium needs to be used, and the lower is the expense in terms of drugs, complications, and related events and costs. Finally, a wealth of studies clearly demonstrated the importance of 1-h plasma glucose concentration, which has been proposed as an adjunctive diagnostic tool to detect prediabetes earlier. In conclusion, by an OGTT, a lot of individuals at risk for T2D may be detected when the central role for the 1-h plasma glucose concentration is also considered. Consequently, these subjects would be treated early and with less drugs and delay T2D complications. This study was supported by a grant from the Rete Cardiologica from the Italian Ministry of Health to Fabrizio Montecucco. AB conceived and wrote the manuscript draft. FM read critically and improved the manuscript.